With effect from 8.00am BST July 1 2003, eBay starts charging Value Added Tax on their fees (not the selling price) paid by any seller resident within the European Union. The structure of their fees has also been amended and if you are a seller you are advised to check on the eBay site for details. If you are a trader and registered for VAT then by recording your VAT number on eBay you can avoid paying the VAT element of the new VAT inclusive fees. 30 Miles south of the booktown Hay-on-Wye there is a new booktown in Southeast Wales. Blaenavon was declared a World Heritage site by UNESCO in 2000, based on it's past involvement with the development of the industrial revolution through it's coal and iron industries but the anticipated 250,000 annual visitors visitors have not materialised. It is hoped that the influx of ten new bookshops will help things along. Blaenavon, once a busy town of 25,000 inhabitants but currently with fewer than 4,500 electors, could do with the boost. Project leader James Hanna anticipates another half dozen bookshops in the near future and the dual attractions of books and industrial heritage could well benefit each other. Wren Howard developed a very sturdy style of book, perhaps rather plain and certainly never gaudy. However, considerable care went into the typography and the books of that period are always a pleasure to handle and read. The adoption of a house style was intentional. By reducing overall costs much higher quality materials could be employed. The dust-wrappers were often frankly dull. Exceptions were the wonderful vivid work of Lee-Elliott who was responsible for the wrappers for "Farewell to Arms", "Ralph Rashliegh", a Liam O'Flaherty title and Linklater's "Juan in America" and those for some of the children's books. How A.E. Coppard achieved his jolly boards for "Nixey's Harlequin" against the usual sombre cloth is unrecorded. The arrival of Hans Tisdall in 1936 also did much to provide a counterpoint. By this time the House of Cape had also gained a fearsome reputation amongst booksellers, the meanness of their discounts was legendary and involved booksellers making very substantial orders for any title. Perhaps Jonathan Cape's memories of his period as a bookseller's errand boy were less than happy. One of the firm's coups was to reduce the trade discount again just before the publication of the trade edition of "Seven Pillars of Wisdom" in 1935, an expensive book which it was known would be a great success. The House of Cape boomed until the war. Good books attracted good manuscripts but the latter part of the thirties saw changing faces. After the death in quick succession of Edward Garnett and Hamish Miles the position of literary adviser was never refilled with the same authority. William Plomer and Guy Chapman were readers until war service removed them, to be replaced by C.V. Wedgewood. None had the same standing as Garnett and Jonathan Cape began to rely more on his own judgement. The war years were hard for all publishers. Cape had a better initial paper allocation than many because of the high sales of 1936 and 1937, largely due to "Seven Pillars". However by 1945 Cape was at a low ebb with a depressingly shrunken list and total inability to fulfill orders. The loss of Rupert Hart-Davis as a younger editorial director through the stubbornness of the partners may have been crucial to the post war recovery. Michael Howard provided family continuity and a contemporary view on the publicity and design side but the editorial problems were never solved in Jonathan Cape’s lifetime. There were successes but not so many, and both partners seem to have had difficulty in coming to terms with the changed world. It was only after Jonathan Cape's death in harness in 1960 that it became possible to turn the firm. around. The arrival of Tom Maschler and Graham C. Greene in 1960 marked the beginning of a similar period of prosperity when young authors and literary prizes returned. Much of this must have been funded from the rewards of keeping faith with Ian Fleming whom they had accepted with no great pleasure in 1952. The Bond legend grew very slowly and only took off when in 1961 President Kennedy admitted to Fleming being among his top ten authors. Tom Maschler seems to have a similar, if rather more literary, nose to Jonathan Cape, and authors such as John Fowles, Edna 0'Brien and Len Deighton exemplify this. He continued the strong American connection with Heller, Roth and Vonnegut. 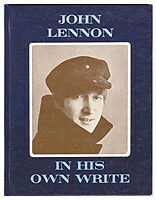 He also stepped outside the mainstream with the wildly successful "John Lennon in His Own Write", Desmond Morris’s" The Naked Ape" and Glen Dolman's "Teach Your Child to Read". Company structure and methods changed dramatically over these years. 1969 saw the culmination of two years negotiations when a parent company was launched to embrace Jonathan Cape, Chatto and Windus, The Bodley Head, The Hogarth Press and various educational Imprints. This device was to protect the individual companies against hostile takeover, already an increasing hazard. The family connection ceased the following year with the departure of Michael Howard, leaving the House of Cape in safe hands and so it seemed for a number of years. Liz Calder joined the firm in 1979 and proved a considerable asset, fighting her corner for authors such as Julian Barnes, Anita Brookner and Bruce Chatwin, all of whom it is likely would otherwise have been rejected. Salman Rushdie was nurtured by Liz Calder through the unremarkable “Grimus” and on to “Midnight’s Children”. Cape was finally absorbed by Random House in the late eighties and thus has become like many before it, merely an imprint, particularly valued for its back list. It is I suspect an inevitable process. The corporate culture cannot provoke the same excitement as one which clearly reflects the interests and creative drive of its founders. Jonathan Cape and Wren Howard made a splendid team, creating a publishing house with an ethos and independent spirit very much of their time. Sponsored by BBC Four, the Samuel Johnson Prize is awarded to the best non-fiction work and the winner of the £30,000 prize for 2003 is the Oxford fellow of Wadham College, T. J. Benyon, for his biography of the Russian poet Alexander Pushkin. Sponsored by Orange, the prize is awarded to the best novel by a female writer in the English language and the winner of the £30,000 prize for 2003 is the US author Valerie Martin for her novel 'Property'. "It has come to our attention that individuals posing as "collectors on behalf of data protection" are attending business premises requesting payment for Data Protection Registration. These "collectors" produce identification cards and receipt books. There is no connection between the Information Commissioner and such individuals. The Commissioner advises those approached in this way not to make any payment and to notify the local police." If you need to register the standard fee is £35.00 and no VAT is payable - not the £95.00 plus VAT asked by some of these 'collectors'. Harrogate will hold their inaugural Festival of Crime Writing from 17 - 20 July 2003. The four day festival will feature some of the world's best known authors in the genre as well as experts in the fields of publishing, television and forensic science. A feature of the Festival is the opportunity to bid for an original Colin Dexter annotated manuscript for a short story 'The Double Crossing' which appears in the Yorkshire Post on 12 and 14 July as well as in the Festival Programme. Bids can be placed online from this page.